'With the open-hearted rashness that belongs to every true writer, Saviano returns to tell the story of the fierce and grieving heart of Naples.' Elena FerranteIn Naples, a new kind of gang rules the streets: the `Paranze', the `Children's Gangs', groups of teenage boys who divide their time between Facebook or playing Call of Duty on their PlayStations and patrolling the streets armed with pistols and AK-47s, terrorizing local residents in order to mark out the territories of their Mafia bosses. 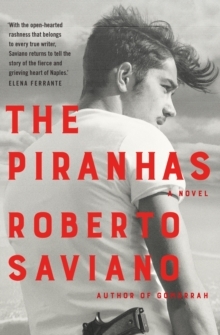 Roberto Saviano's eye-opening novel The Piranhas tells the story of the rise of one such gang and its leader, Nicolas - known to his friends and enemies as the `Maharajah'. But Nicolas's ambitions reach far beyond doing other men's bidding: he wants to be the one giving orders, calling the shots, and ruling the city. But the violence he is accustomed to wielding and witnessing soon spirals out of his control . . .